Rani Borkar is a highly experienced technology executive and product visionary who was instrumental in leading Intel’s silicon product development strategy to fuel the growth of the PC and Data Center business. Leading with the philosophy of “Mission First, People Always”, she creates change-ready organizations through building close-knit communities that share common purpose and mutual ownership. With over 25+ years of experience in the computing industry, Rani has a proven track record of scaling Intel’s product development to deliver a wide portfolio of world-class microprocessors that now account for more than 1 million PCs shipped globally per day and 9 out of 10 servers sold worldwide. She has successfully managed up to $2B annually in organizational operation budgets, up to $400M annually in capital budgets, as well as has led a combined organization of up to 8000 employees. Rani is a respected thought leader and speaker, invited for multiple conferences and panels. She has presented at engineering leadership conferences as well as conferences to promote women in technical fields. 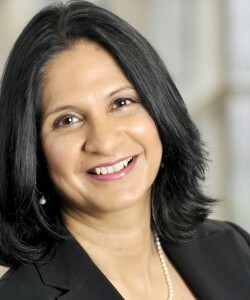 She received the Corporate Fellow Award in 2004 at the Linkage Women in Leadership Conference. She holds two Master’s degrees in physics and in electrical engineering, and completed the Executive Program in Leadership (LEAD) at the Stanford Graduate School of Business. She currently serves as a board of trustee at Oregon State University to help guide the state’s effort to advance economic development and innovation. People describe Rani as incredibly smart about People and Technology. She brings out the best in everyone, creates a safe place for people to be themselves, and loves to learn. She has a gift for building highly functional communities that produce remarkable results, while growing the people in those communities. Her deep insights into human dynamics are matched by her deep insights into what it takes to produce great technology. Rani lives in Portland, Oregon with her husband and has two sons.